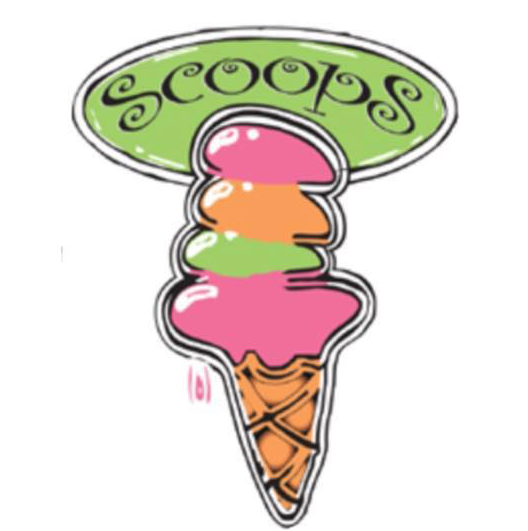 A Scoops shop is many things… premium ice creams, candies chocolate creations, ,novelty confections, and more. A Scoops shop evokes many reactions imaginative, fun, captivating, delightful, and scrumptious…One thing is certain…no one can resist Scoops unique combination of gourmet ice cream and sweet treats! Scoops shops have been embraced by the communities we serve. Our customers return again and again for a pick me up for their day, a treat for their children or a special gift for a friend or family member. These customers have helped spread the word about what a special place a Scoops shop is. These same customers have literally been begging us to offer Scoops franchises. Now, for the first time, a limited number of Scoops franchises will be awarded to those people who possess the necessary financial resources, people skills, commitment and acumen to grasp just what a sweet opportunity Scoops is. Our franchise program is built on synergy…the synergy of a number of different profit centers that compliment and reinforce each other to drive store traffic and sales…the synergy of a highly profitable business model, a fun, creative atmosphere, a Franchisor dedicated to your success and a concept that meets market demand. An opportunity with this intrinsic synergy does not come along very often. Are you looking for a different direction for your career, an opportunity that affords you: The potential for a great return on your investment; An occupation where you actually look forward to the beginning of each new day; A business with a strong cash flow and profit potential; and A career where you get to work with people and have fun doing it. Owning and operating a Scoops franchise gives you all these rewards and more. Scoops is a most unique business. We operate retail shops offering 32 flavors of super premium ice cream plus 24 mix-ins, gourmet coffees, gourmet candies and other sweet treats, including chocolates, fudge, novelty and nostalgic candies, jelly beans, Pez, smoothies made with organic fruit juices, gourmet cupcakes and more. Our products appeal to people of all ages and tastes. Our unique mix of treats, ice cream, and merchandising techniques creates an irresistible atmosphere that literally draws people in. And, once they enter, people have an even harder time walking out empty-handed. Exclusive Territory Site Selection Store Design & Layout Grand Opening Marketing Campaigns Operations Manuals Inventory Programs Up to 35 Days Initial Training Human Resources Management Strategic Planning Meetings Equipment & Supply Packages Purchasing Programs On-Going Training Merchandising System Advertising, Promotions & Public Relations Campaigns Business Management System Field Support Customer Relations Programs Research & Development Bookkeeping System And Much More!